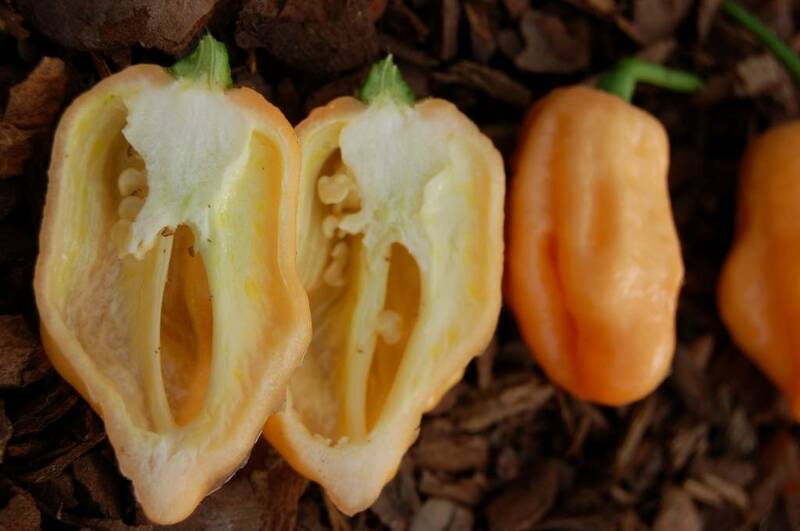 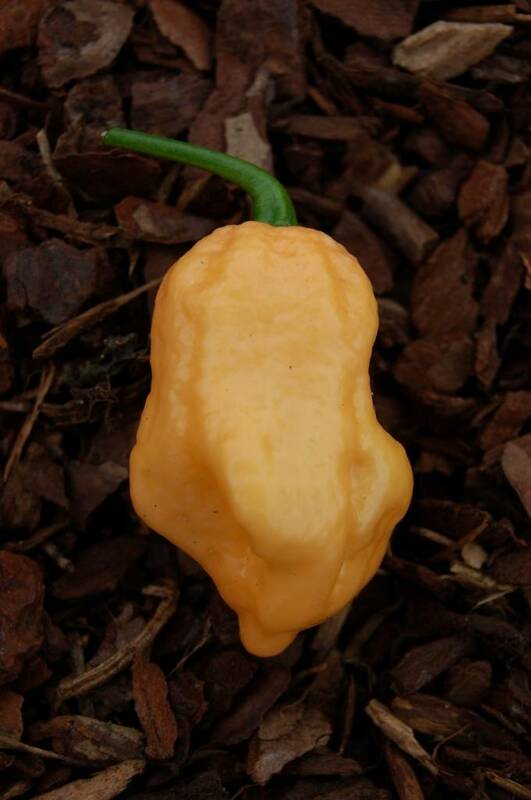 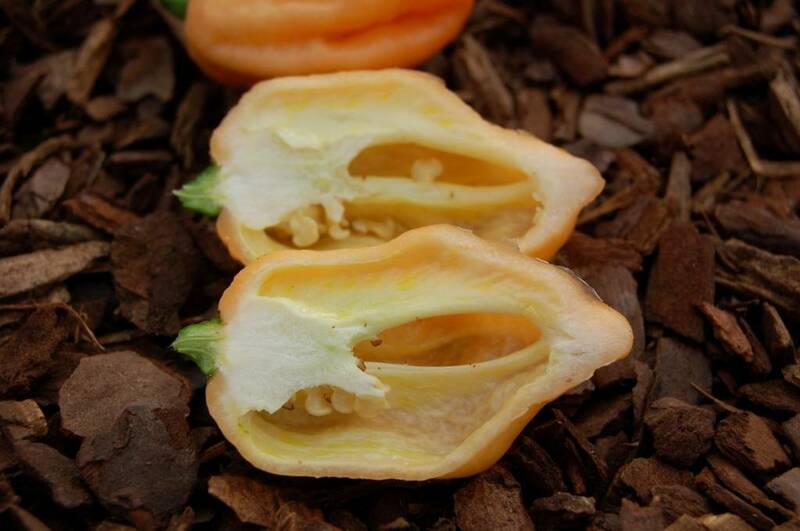 Fruity peach colored Bhut Jolokia, extreme hot pepper. 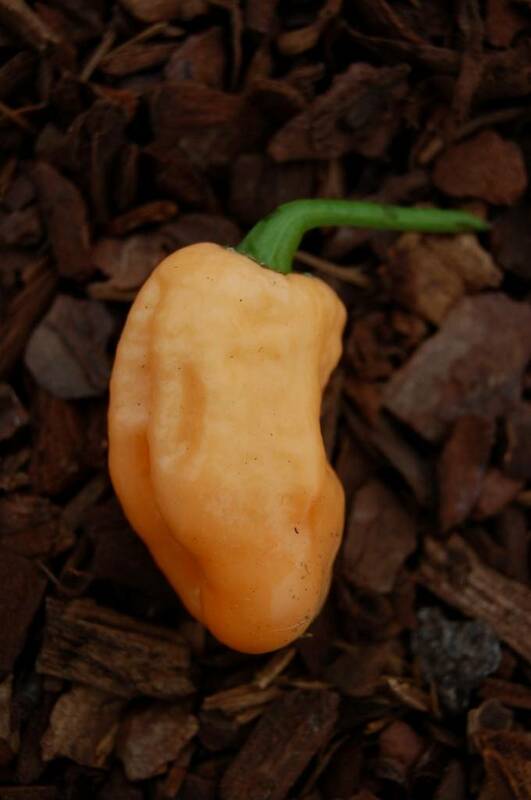 Our favorite Bhut Jolokia. 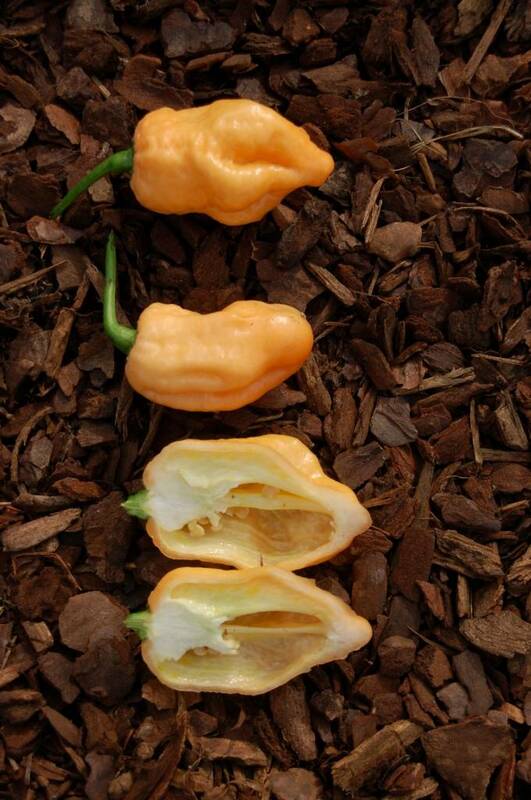 Fruity and extreme hot. 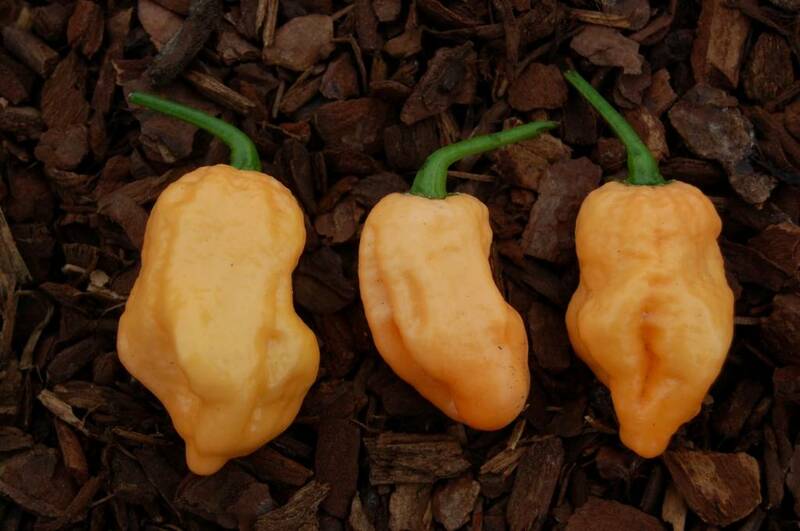 This strain needs time to develop a nice 3/4 feet canopy, start them early.